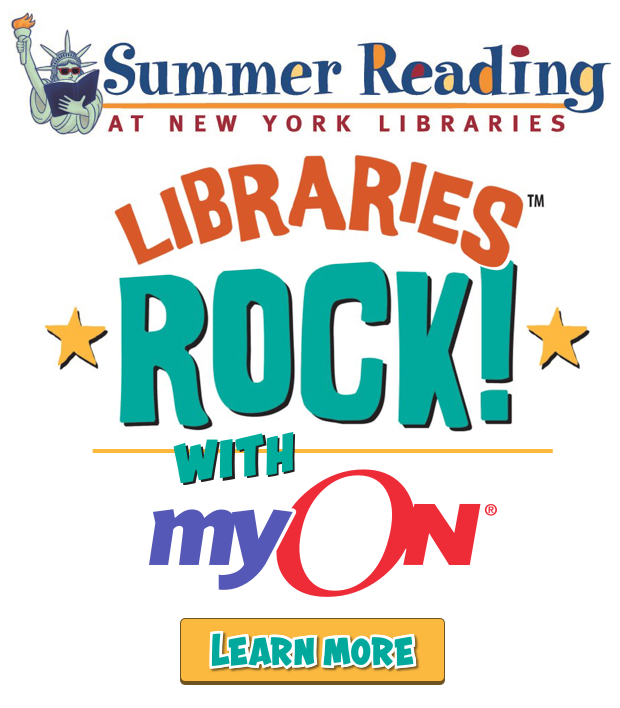 May through September 2018 As part of Summer Reading at New York Libraries, the State Education Department and myON are partnering to bring thousands of enhanced digital books to children from birth through 8th grade and their families all around the state! • Katie Caught a Cold by Charlotte Cowan M.D. • Peeper Has a Fever by Charlotte Cowan M.D. • Sadie's Sore Throat by Charlotte Cowan M.D. Get Set4K.org – Check out this month by month guide to school readiness. Big Green Rabbit – Kids can learn fun dance moves, watch videos, and sing songs—all related to helping make better, healthier choices about themselves. Cooking With Your Kids – Kids can learn science, math, culture, and healthy eating habits, all while having fun in the kitchen! DayByDayNY is funded in part through the Federal Library Services and Technology Act, with funds awarded to the New York State Library by the Federal Institute of Museum and Library Services. The New York State Library is a program of the Office of Cultural Education in the New York State Education Department.